The finest Orange Blossom essential floral water, Goddess Neroli Water is full of natural skin healing properties. Editor’s Notes: An uplifting blossom fragrance, Goddess Neroli Water is extremely therapeutic and particularly beneficial as a gentle toner, after your cleansing routine. If you have dry or tired looking skin, it will will help to revitalise and encourage a natural radiance. 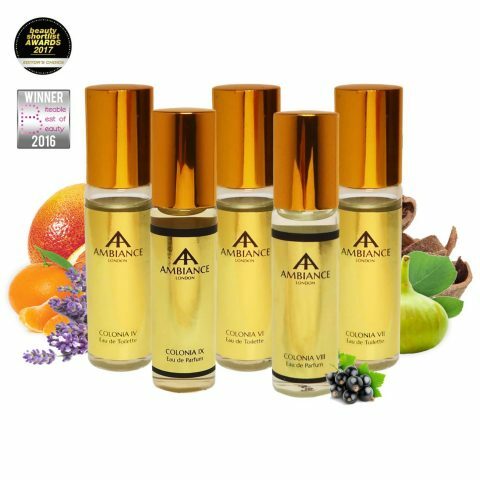 Fragrance Heritage: The use of Neroli and orange blossoms dates back to ancient Egypt where they were used in several beauty recipes. The word Neroli is attributed to a French-born Italian princess (Countess of Nerola, c. 1600s) who used orange blossoms in her bathwater. 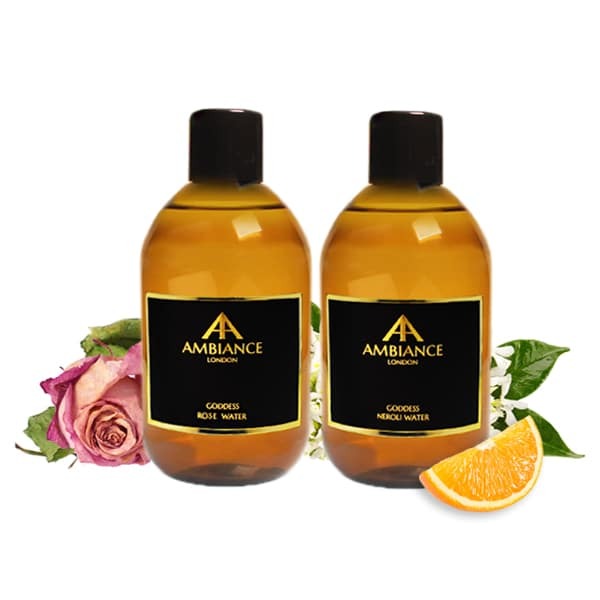 Product Information: Goddess Neroli Water (Citrus Aurantium hydrolat) is full of natural skin healing properties. 100% pure, it is free from additives, colourants or synthetic fragrances – it has nothing added to it, unlike flower waters that are typically preserved with alcohol. Its rich composition and superior production is unlike any other essential floral waters. After opening, Goddess Waters have an approximate 3-6 month shelf life (for cosmetic use). To maximise, store away from heat and bright light. In fact, refrigeration is highly recommended. NB. Tinted bottle promotes excellent conservation. Please Note: This product may contain some natural ‘sediment’ making it appear cloudy. This is made up of natural waxes/essential oil compounds that settle out of the distillate water and occurs after fine filtration. It is does not affect the product properties. 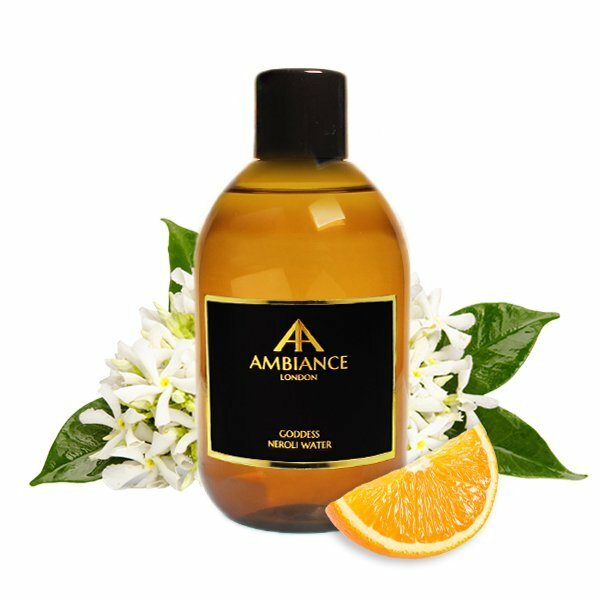 New Goddess Neroli Water is produced in Tunisia and in small batches to ensure superb quality control. 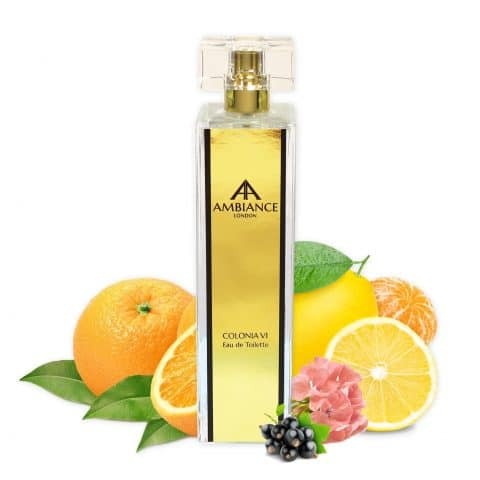 Ancienne Ambiance essential floral waters (hydrolats) are pure, contain no additives, alcohol, colourants, or synthetic fragrances and are also free from preservatives; pasteurised during the bottling process to remove impurities and retain top quality condition. 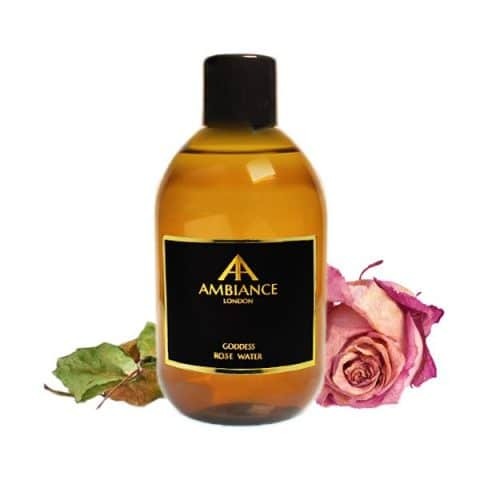 Created in a similar manner to essential oils, they are produced by steam distillation; the essential oil floats to the top of the distillate where it is removed, leaving refreshing pure floral essential waters, which contain the very essence of everything that was within the living, growing plant. 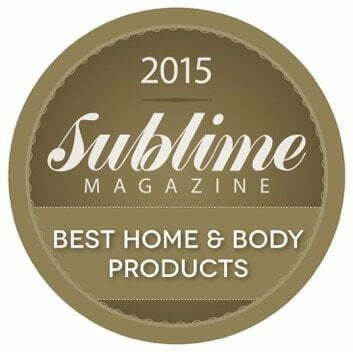 Ancienne Ambiance products are not tested on animals. Packaged in high quality recyclable PET bottles: kinder to the environment, ideal for travelling.